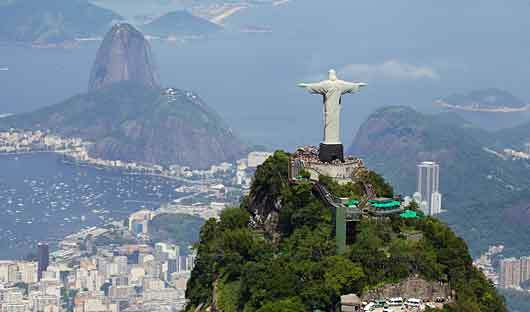 Discover the best of Brazil on a tailor-made private tour with South America Travel Centre. We will create a customised Brazil tour just for you. Below is a sample of some of the highlights to give you some inspiration. 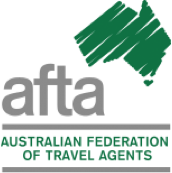 You will be met at the airport by your private transfer and taken to your accommodation to settle in and relax for the afternoon. Enjoy a tour of the Brazilian side of the falls in the morning. The pathways provide spectacular panoramic views of the main falls and you have the option to take a helicopter ride to view the falls from above. The afternoon will be spent at the Argentine side of the falls for a quite different perspective. 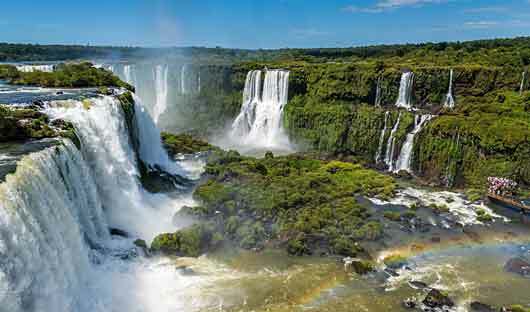 The trails of the Iguazu National Park, Argentina allow visitors to view the cascading waters of the falls up-close. 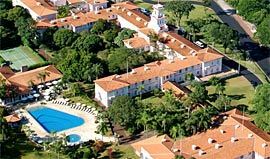 Belmond Hotel das Cataratas is a graceful Portuguese-colonial residence, set in lush tropical gardens. It is the only hotel inside Brazil’s Iguassu National Park and just a short stroll from the sensational falls – giving guests exclusive access when the park is closed to other visitors. The elegant property has a classic décor that beautifully reflects its colonial era, with polished hardwood floors, traditional blue-tiled bathrooms, dark-wood furnishings and colourful accents. Guestrooms are distributed across three buildings – the Garden and Forest Wings and the main building that also houses the lobby, lounges, main bar and fine-dining restaurant. The expansive grounds include tennis courts and a beautiful swimming pool bordered by palm trees. 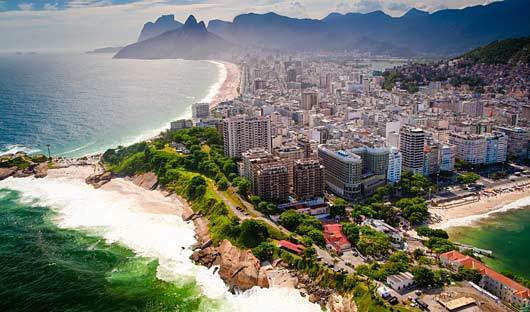 Fly to Rio de Janeiro and spend the afternoon at leisure. You may wish to spend your time at the beach simply taking in the vibrancy of this incredible city. Meet your personal guide in the morning and take your private vehicle to the Corcovado railway station at the foot of Corcovado Mountain. Enjoy the train ride through the forest to the summit where the awe-inspiring statue of Christ the Redeemer overlooks Guanabara Bay. Continue by train past Lake Rodrigo de Freitas, Sao Conrado and Tijuca forest and alongside the beaches of Copacabana, Ipanema and Leblon. After lunch, travel to the Sugar Loaf cable car station for a ride to the top of Sugar Loaf Mountain from where you will enjoy superb views over the city and bay. On the return journey visit the downtown area. Spend your final day in Rio De Janeiro at leisure. 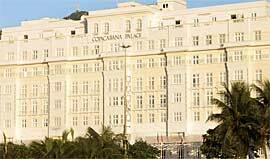 One of South America’s most famous hotels the Belmond Copacabana Palace stands positioned right on Copacabana beach, the hotel’s Art Deco style is legendary and it has become a Rio landmark. A traditional neo-classical building with a dazzling white façade, it has attracted the rich and glamorous since the doors first opened in 1923. After completing an extensive and meticulous renovation in late 2012, the luxurious rooms retain their classic décor, exuding elegance and sophistication – no minimalism here – while also offering thoroughly modern enhancements. The hotel features two of Rio’s top restaurants, guaranteeing a memorable dining experience; but with more than 600 staff, the real secret to its enduring success is the exemplary service. Fasano Rio de Janeiro is one of Rio’s premier boutique properties on its most fashionable and hip beach, Ipanema. This Philippe Starck-designed, glass-fronted high-rise presents the designer’s trademark combination of contemporary cool and period furniture – think 21st century contrasting 1950s and ‘60s Bossa Nova-chic! 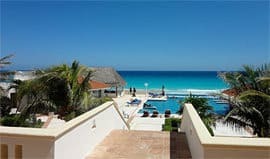 The rooms, with polished parquet floors, sinuous light fittings, Dalí-inspired mirrors, and wall-to-wall white marble bathrooms, are compact although all have balconies and, if you choose an oceanfront room, the fabulous views more than compensate. 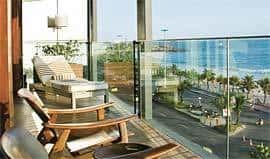 The hotel’s crowning glory is its glamorous infinity pool and rooftop bar, and secures its reputation as one of the “in” places to stay. This morning you will take a scenic drive in your private vehicle from Rio de Janeiro to Angra dos Reis. 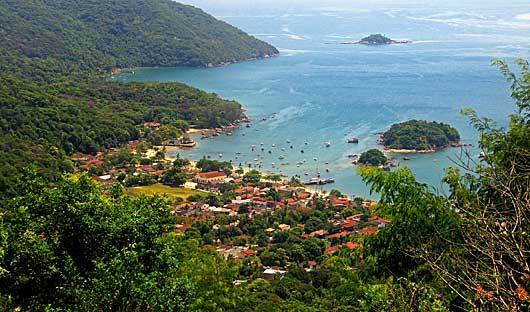 Here you will catch a ferry to Vila do Abraão on the island of Ilha Grande. After settling into your hotel you will have the next two days to explore at your leisure. The island features pristine Atlantic Rainforest, walking trails, waterfalls, tranquil villages and secluded beaches. There are no cars or roads making Ilha Grande quite unique. After breakfast take a boat ride to the shores of Angra dos Reis, and transfer to Paraty, located on Brazil’s lush Costa Verde. This quaint UNESCO colonial town is where the Atlantic Forest meets the beauty of the islands and beaches. Take a stroll through the picturesque cobblestoned streets, lined with well-preserved buildings and beautiful churches and learn about the legends and history of the town. 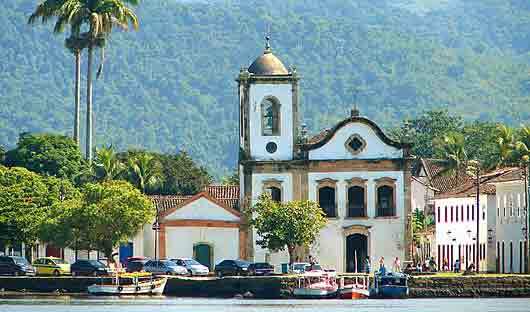 Spend today at leisure to enjoy the charming restaurants, galleries and museums of Paraty. Turquoise is the hotel’s signature colour, seen in everything from the painted shutters to the stationery! Located in the historic centre of Paraty, right next to the harbour, this meticulously restored 18th-century town house is a tranquil and stylish retreat, wrapped around a leafy courtyard and a deck-lined plunge pool. Public spaces at Casa Turquesa are rustic, with rough stone walls and lots of Brazilian hardwood. In contrast, the nine suites are simpler, decorated in white and the namesake colour of the room – pink, yellow, turquoise, green, red, and so on – and all have gorgeous views over the rooftops of the town, the mountains, or the bay. 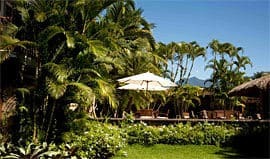 This hotel is set in a Portuguese Colonial-style building within the historical centre of Paraty. The 22 rooms are decorated by Jacobsen Arquitetura with air-conditioning, WiFi and 24-hour room service. There is an outdoor pool, bar/lounge and sauna. After breakfast you transfer in a private vehicle will take you to Rio de Janeiro Airport.